Known Wii U releases include Assassin’s Creed III, Avengers: Battle for Earth, Killer Freaks from Outer Space, Rayman Legends, Tom Clancy’s Ghost Recon Online, with Your Shape rumoured to hit the system. 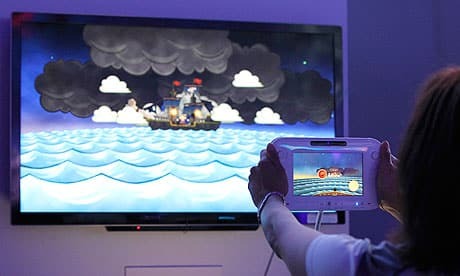 “What is really interesting is the fact that we have this tablet that allows us to bring totally new gameplay, and also brings the possibility to have a lot more social functionalities, because you can have now a screen to play asynchronously with your friends, to receive challenges and to really have a screen to communicate with your friends. That is going to help tremendously the experience in video games,” he explained. “We feel that the more we grow, the more use we will have for social functions in our games. And the new gameplays – a lot have been invented in other platforms, so there are lots of new ideas that will come to console. So that will help to bring new games with good functionalities, and be very good in turn at usage. “So all this tells us, that the machine can have a great success, because it will bring to families a good machine. And this will be for gamers but also for all the social games that are generally sold on the Wii.